Dubai: Shaikh Ali Abdullah Al Qasimi repeated his first-day heroics to win the opening class on Day 2 of the Dubai Show Jumping Championship to win the Dh46,000 Meydan Speed Stakes CSI2* on Day 2 of the event at the Emirates Equestrian Centre in Dubai. Riding the 13-year-old Saga De La Roque, the 2017 Dubai Grand Prix winner completed the course in 57.69 seconds, while compatriot Salim Ahmed Al Suwaidi stopped the clock at 58.84 for second place. This was a two-phase competition; in the first phase you had to be clear (penalty free) to enter the second round. I had the win today and I am very happy. The top five finished with timings of under 60 seconds. 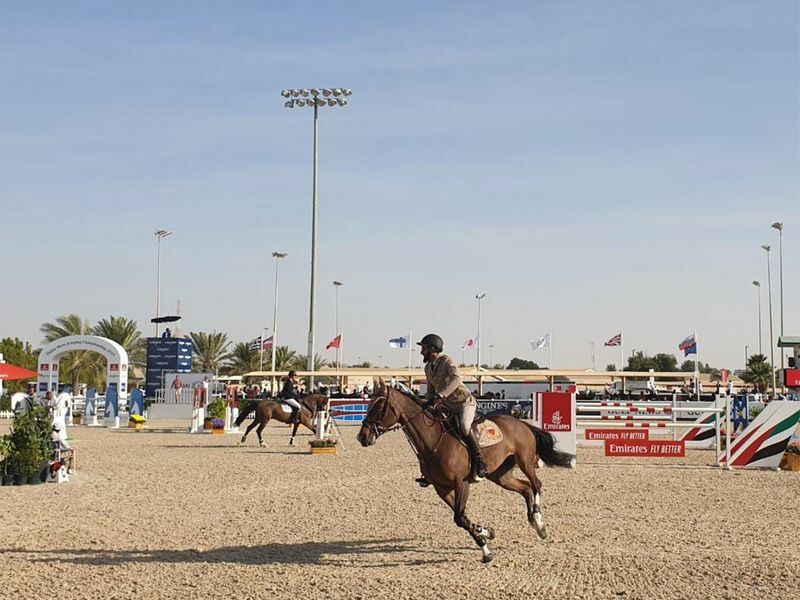 The duo of Shaikh Ali and Al Suwaidi led the standings on Day 1 as well in the Emirates Equestrian Centre — Two Phases Class on Wednesday giving UAE fans ample reason to celebrate. The Meydan Speed Stakes had a total of 37 horse-rider pairings from 14 countries competing, but only 32 completed the course while five pairs were eliminated. Next on the agenda was the Dh46,000 Azizi Developments — Two Phases Class, with a total of 31 riders competing from 14 countries, where only 17 had penalty-free rounds to advance to the second phase. Kotayba Al Dughli from Syria, a winner here last year in the Azizi Speed Stakes, led the charge with a winning time of 26.47 seconds in the second phase. Al Dughli said: “I am very pleased to win today and it is a very important win for my country as well as me. “This was a two-phase competition; in the first phase you had to be clear (penalty free) to enter the second round. “I had the win today and I am very happy. Last year I won the same course with another horse Gucci, and my horses in general are very speedy, and that makes all the difference. Meydan Pillar Partners Emirates, Longines, Azizi Developments and Gulf News return to support this prominent international competition. 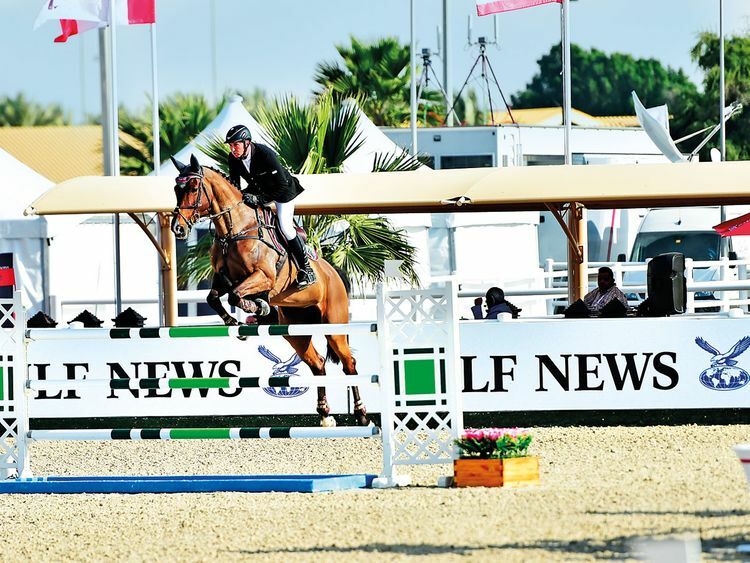 Day 3 is highlighted by two CSI5* events the Dh111,000 Gulf News Cup — Jump Off and the Dh389,000 Azizi Developments Golden Cup.